Minister of Finance and Media Mangala Samaraweera stated that former President Mahinda Rajapaksa is currently scheming to exact revenge on the general public who voted to oust him from power in 2015 through his attempts misrepresent acts of the current government. In response to a declaration made by former President Mahinda Rajapaksa who stated that the people of Sri Lanka are being grossly cheated on through the privatization of the Hambantota port, Minister Samaraweera stated that the former president cannot forget the magnitude of injustice the general populace had to face through the wastage of natural resources by the sale of them to foreign nations during the Rajapaksa regime. 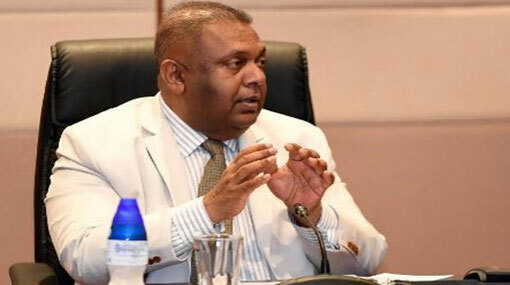 Minister Samaraweera further stated that the former president had leased out one terminal of the Colombo port at a percentage of 85% and 15% to the Chinese government whilst drafting agreements to lease the Hambantota port proportionately to the Colombo port agreement in 2014. He also pointed out that, had the agreement for the Hambantota port drafted by the former president gone through, the country would have been further indebted with a sum exceeding 350 million USD. In his statements, he also mentioned that the during his tenure which spanned almost 10 years, Mahinda Rajapaksa fostered a culture where people differentiated themselves based on religion, cast and creed whilst harboring an social environment filled with national disharmony. Minister Samaraweera also stated that after investigations carried out on close relatives of the former president, the government and judiciary are currently in custody of valuable goods exceeding Rs.500 million in value that were illegally obtained by members of the Rajapaksa family during their time in power. He also stated that it was humorous to recall the sentiments expressed by the former president as in his words, he would “cut his own stomach” if he or any member of his family were caught stealing even a rupee of the peoples wealth. The Minister of Finance further stated that the immense effort expended by former President Rajapaksa to mislead the public by feeding them lies that the government is attempting to sell resources of the country to foreign investors and privatize Sri Lankan assets, is a unhealthily fostered act of revenge he is exacting on the general populace.